5x7 customized journal notebook attracts with its strong PVC cover and features 80 ruled pages. You can position your brand logo large and big over the cover prior to gifting. Matching bookmark and strap closure makes it one appreciative business gift. You can rely on it for building relationships with your employees, tradeshow attendees and more. 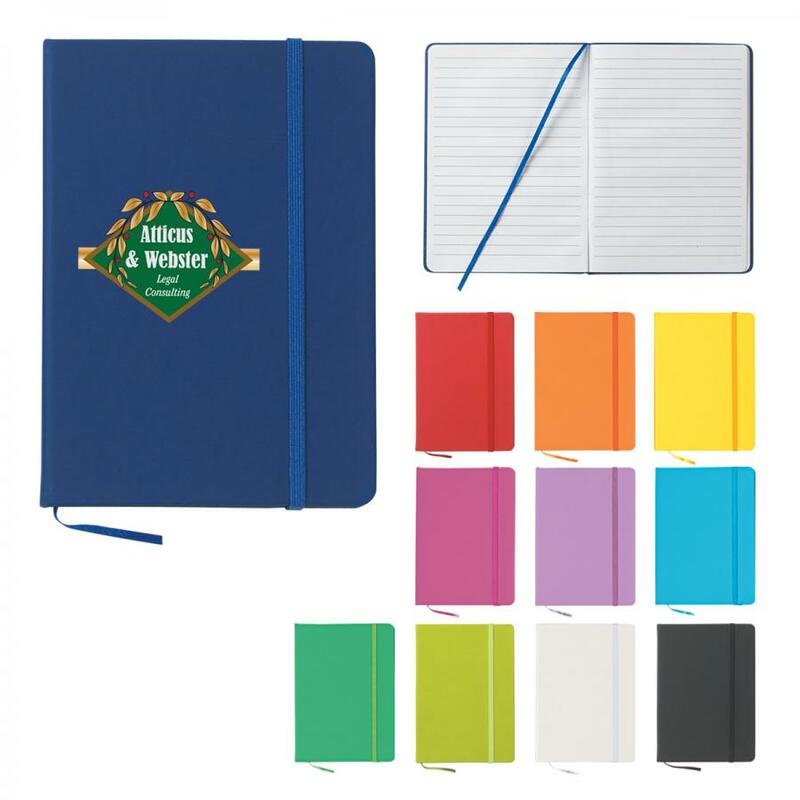 We offer great savings on bulk orders of this custom journal notebook, thereby making it affordable for even small budget marketers. Avail free online design proof on all orders. 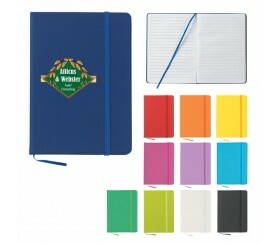 Request a quote to know discounts that you can avail on wholesale 5x7 custom journal notebook. Colors Available : Blue, Light Blue, Fucshia, Kelly Green, Lime Green, Orange, Purple, White, Yellow, Red or Black. Box Weight : 25 lbs.